The non-profit Spay Neuter Clinic opened in 2008 with the goal of providing affordable and accessible spay neuter services for all dogs and cats who need them. At that time our shelters were overflowing with unwanted and homeless animals, and the sad result was euthanasia of many adoptable animals simply because there were too many of them and not enough space in the shelters and not enough homes in the community. We wanted to stop that, and build a community where animals are valued and loved, and each animal has the opportunity for a healthy happy life. The best way to do that is to prevent unwanted animals from being born. Now, 9 years later, we have spayed and neutered 35,000 dogs and cats, and prevented the births of literally hundreds of thousands of unwanted animals. Our local shelters have seen the number of unwanted and homeless animals needing to come to them drop by over 50%, which allows the shelters to have the room and resources to give every adoptable animal the opportunity of a forever home. Thanks to the work of the Spay Neuter Clinic, in conjunction with proactive shelter adoption and transport programs, we now live in a compassionate community where adoptable animals are no longer euthanized in our shelters. 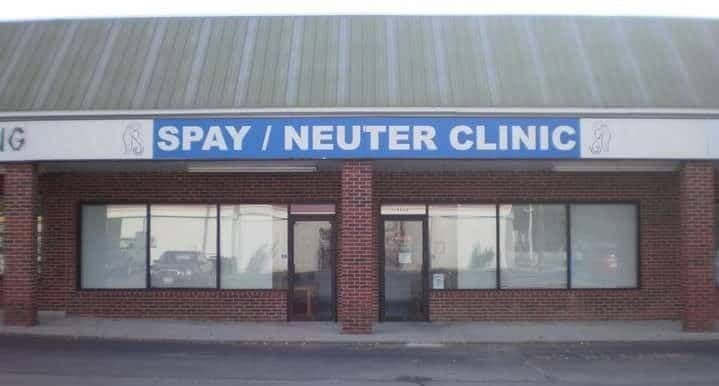 Spay and neuter is win-win-win. The individual animal wins because they live longer, healthier, happier lives. The owner wins because they can afford to do the best thing for their beloved pet. And our community wins because we no longer have unwanted animals filling our shelters and abandoned on the roads. The mission of the Spay Neuter Clinic is to provide high quality, affordable spay/neuter services, saving lives, one surgery at a time. Please join us! Our clinic is based on the model created by Humane Alliance.